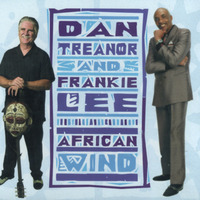 This collaboration between soul singer Frankie Lee and multi-instrumentalist bluesman Dan Treanor definitely utilizes some African elements, but the title might be an exaggeration. 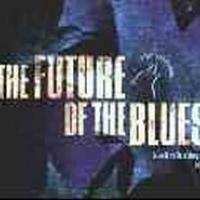 At heart it's very much a straightforward (and excellent) blues record. Of course, the blues does have its roots in African music, but they're not as widely explored as they might be. "African Wind" comes closest, with kalimba (and Lee doing his best Taj Mahal imitation), and "Cane Flute Soul" brings in fife and drum — again, originally from West Africa, but really more familiar from Mississippi hill country. "The Griot" pays tribute to the African historian storyteller and historian, but with very American style. That said, Treanor does use ngoni and khalam (although it's hard to hear the former). But don't come looking for the kind of African-American connection you'll find in, say Ali Farka Toure; it's not there and doesn't pretend to be. In spite of Treanor's instrumental abilities, it's Lee who's the star of the show here, with a big, broad voice that's perfectly at home in the blues, whether on the acoustic "Tell Me Mama" or the fast shuffle of "Who's Playing Who." He's a talent who deserves much broader exposure, and if there's any justice, he'll get it from this.